Though it may be surprising, this is true. “How old do I look?” may be a question that many are uncomfortable confronting. A question many of us are not fond of asking others. However, several scientific studies have revealed that up to 90 percent of how young or old a person looks, respective of age, is directly linked to their amount of sun exposure. Excessive sun exposure causes significant skin damage that attributes to premature aging and consequential health risks. 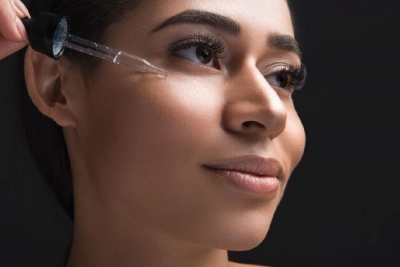 As the driving force in the creation of wrinkles, pigmentation issues, vascular disorders, skin cancer, loss of elasticity, and uneven skin texture, ultraviolet rays can even compromise the integrity of the immune system. Can an individual suffer from sun damage as a baby? Yes. Can an individual suffer from sun damage as an adult? Yes. Harmful ultraviolet rays do not discriminate. They can cause inflictions to everyone’s skin, at any age. 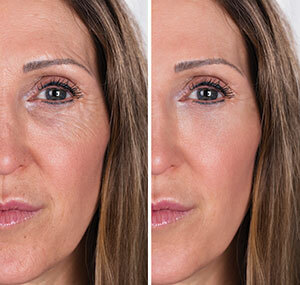 Traditionally in aesthetic courses, professionals are taught that most sun damage is achieved by age 18. The American Society for Photobiology conducted a study and found that Americans acquire about 23 percent of sun damage they will experience in their life by age 18, then add about 10 percent more each decade following. Still, it is never too late to take preventative action from the sun. 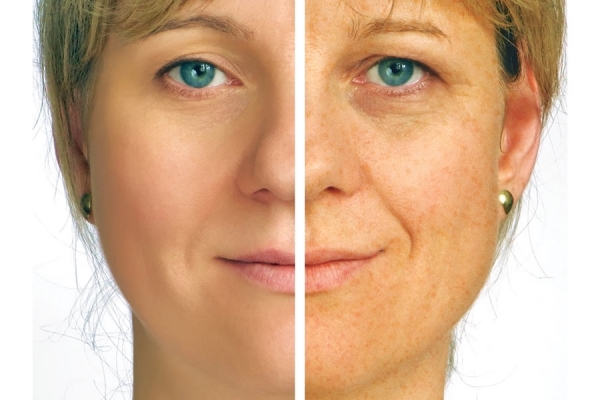 Does skin become more resilient to sun as a person gets older? No. Skin is at chronic risk from excessive sun exposure. As fibroblasts, collagen, and elastins begin to break down, the cellular turnover rate slows down and skin is not able to heal as quickly as it used to. With time, melanocytes travel to the surface of the epidermis, resulting in sun spots, which are commonly seen on the hands, arms, and face. In youth, a person may not see the damage lurking several layers deep into their skin, but it is there. This is clear under a wood’s lamp. Can ultraviolet rays damage even indoors? Yes. Most people do not usually wear sunscreen in their homes or in the car while running errands. But, even if they do, unless a sunscreen is broad-spectrum, it does not protect skin against UVA rays, which can penetrate glass windows – both in a home and car. Most of the population actually shows signs of aging on the left side of their face more so than the right due to regular driving activities. In an individual protected at the beach or pool if they wear a big hat? No. Ultraviolet rays can bounce off of any surface and reflect onto skin. Water splits UVA, UVB, and UVC rays into a prism and can even intensify the beam. Are people ever safe from sun damage? The simple answer is no. However, they can slow early signs of aging by wearing broad-spectrum sunscreen every day, rain or shine. They should also reapply sunscreen often, limit habitual exposure, and take appropriate precautions against ultraviolet rays to help suppress the negative effects of sun damage. 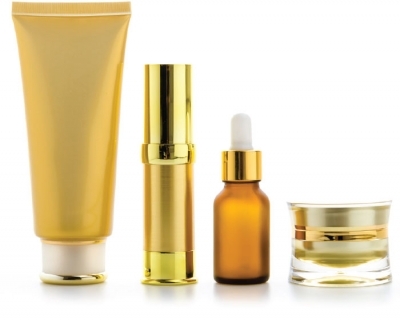 Fact or Fiction: Expensive products are more effective.